Today’s suggestion comes to us from Matt S, also known as @NightGuard_X on Twitter. Matt keeps a fairly low profile on social media but has been good enough to support the site for a long time; he’s also polite, articulate and always has interesting comments to make, even if he does have designs on the Purple Sister wallscroll in my study. You can’t have her! To date, the only coverage of the Shadow Hearts series on MoeGamer is in the form of a republished piece from my 2012 time on the now-defunct Games Are Evil, and its inclusion as one of the Ten Great RPGs That Came Out Since Final Fantasy VII, an article written in response to just one of the many “Japanese gaming is dead lol” assertions made by the mainstream gaming press over the last few years. I believe Colin Moriarty, then writing for IGN, was to blame for that particular incident, but I digress. Anyway, the point is, despite it not having that many column inches here on MoeGamer (yet? 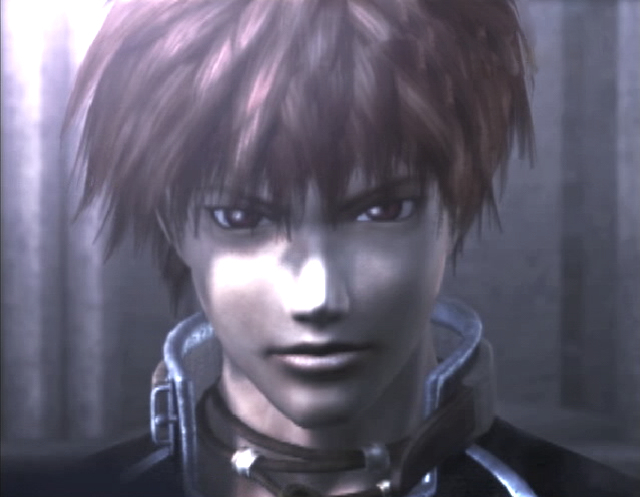 ), the Shadow Hearts series remains one of my absolute favourites of all time — though I must confess I came to it a little later than when it was “current”. 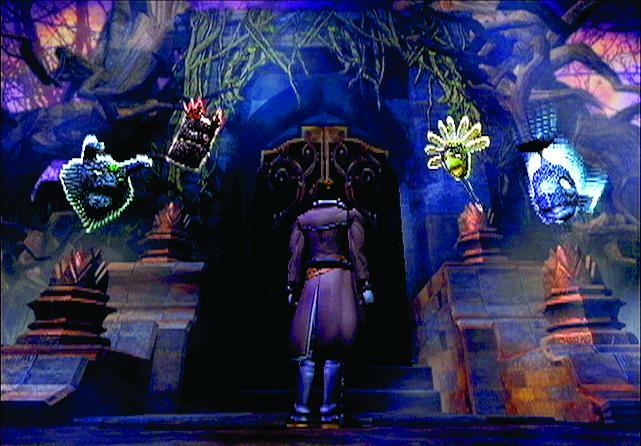 For the unfamiliar, the Shadow Hearts series consists of three games — the third of which is rather less well-regarded by fans thanks to it not being directly connected to the other two — that combine an interesting fusion of influences: anime, Gothic horror, World War I-era historical drama and surrealist, absurdist comedy. The whole thing should by all rights be a complete mess with so many ingredients in the pot, but it works. And it works absolutely brilliantly. The first two games tell the story of a young man named Yuri, a Harmonixer with the ability to shapeshift into a number of monstrous forms and a mysterious voice in his head telling him to do things. Yuri is a conflicted anti-hero that is not quite sure what to make of his powers or indeed quite how to deal with people and the world around him, making him come across as rather rude and sullen to many who encounter him. 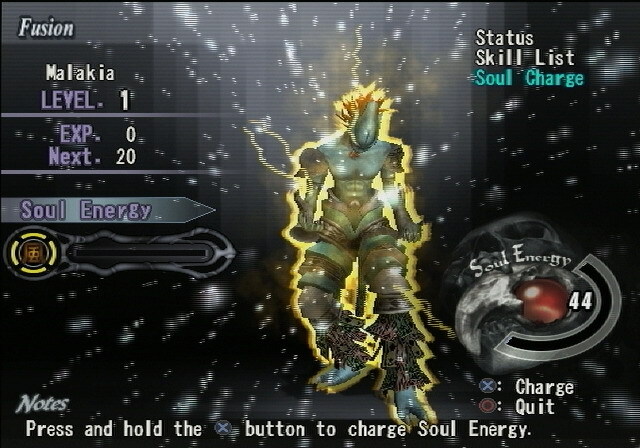 Shadow Hearts’ strengths lie in its characterisation and worldbuilding. The main cast are all interesting, unusual and unconventional individuals, each of whom are explored in detail over the course of their respective narrative threads and sidequests. And what characters! Over the course of the two games, you’ll adventure alongside vampires with a penchant for wrestling, a Chinese sage, a female German officer, a Russian princess, Gepetto (of Pinocchio fame), a secret agent, an aromatherapist fortune teller and a wolf. Gepetto in particular is noteworthy for powering up his main weapon (a puppet, naturally) by collecting what essentially amounts to pornographic trading cards for a pair of itinerant and unashamedly homosexual tailors that inexplicably appear to arrive just ahead of the party wherever they go in their adventures. The world, meanwhile, is a convincing recreation of early 20th century China and Europe combined with highly imaginative elements that help flesh out the scenario, giving it an entirely unique feel. In many ways, it could be argued to draw some influences from Lovecraft’s approach to fiction, in which a depiction of the world as it existed in the late 19th century and early 20th century is combined and juxtaposed with obviously fantastic, horrific components; on paper it may seem absurd, but in context it flows surprisingly well. 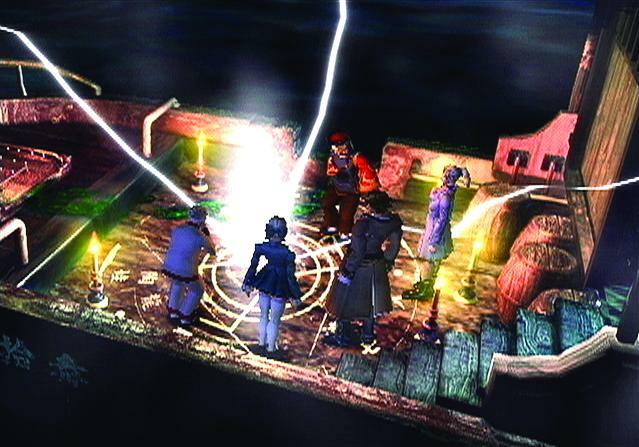 The core gameplay of Shadow Hearts is relatively conventional for early 21st century JRPGs, with a sharp demarcation between field exploration and turn-based battles. But there’s a most distinctive feature added to the mix in both parts of the game; known as the Judgement Ring, it’s an on-screen indicator in which a needle sweeps around a circular dial. When it appears, the player is tasked with pressing a button on the controller as the needle passes over differently coloured marked areas in order to be successful at whatever they are attempting, be it picking a lock or unleashing an attack. The Judgement Ring adds a degree of interactivity and “action” to the mix that sometimes feels absent from traditional turn-based games. 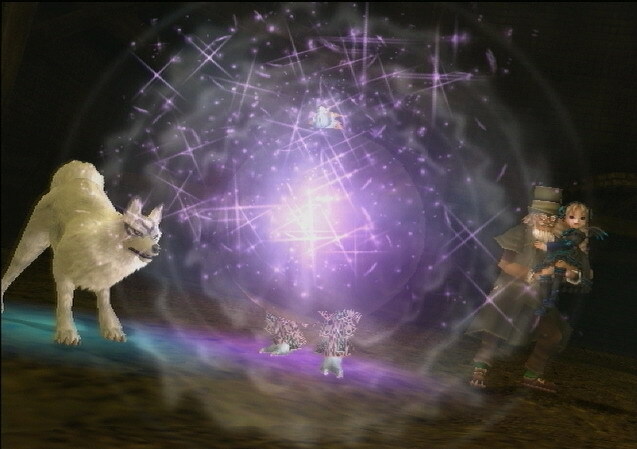 As you progress through the game, you start to understand that different actions you perform have their own distinct “rhythm” to them, and indeed there are actually rewards for being able to successfully trigger an ability using an invisible Judgement Ring (i.e. just using muscle memory and your own sense of rhythm), or without the benefit of the markers on the meter and suchlike. 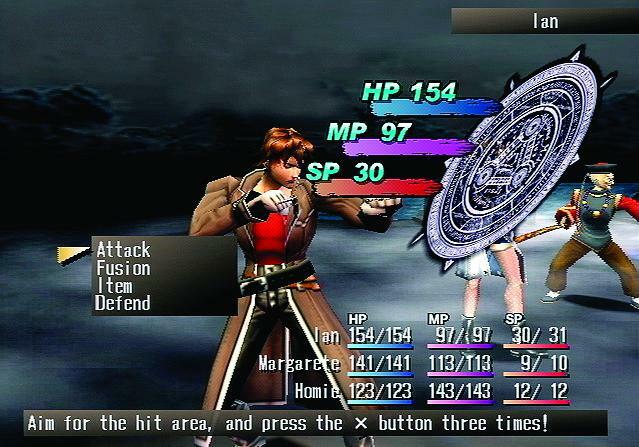 It’s also interesting to see that the Judgement Ring is used on the field screens as well, giving the game something of a tabletop role-playing feel at times — rather than something just succeeding automatically because the plot dictates it should, the use of the Judgement Ring gives the game a feeling of performing a “skill check”, similar to how Rance 5D makes use of explicit dice rolls for a similar purpose. Why should Shadow Hearts be “uncancelled”, then? Well, it deserves another shot at greatness. After second game Shadow Hearts: Covenant wrapped up the story nicely, third game From the New World had some difficulty rebooting the series in a way that satisfied fans — though this isn’t to say it’s a bad game in its own right; it just wasn’t as impressive, compelling and distinctive as its two intertwined predecessors, and some felt it was trying just a bit too hard with some of its more absurd elements. But with Japanese games going from strength to strength, particularly on PlayStation platforms and, increasingly, Nintendo’s Switch, the time is ripe to revisit some old classics for a new generation. To be honest, I’d be happy with a remake or rerelease of the original games — Covenant and From the New World in particular are actually still great-looking games, despite their age — but I’d be stoked to see this fascinating setting explored further from another perspective, with another cast of delightful misfits taking centre stage. Just so long as there’s at least one cast member to match Covenant’s vampire hitting enemies with concrete bollards and post boxes as he fights his way up a tower of wrestling rings populated by loincloth-clad men with plates of curry on their head. 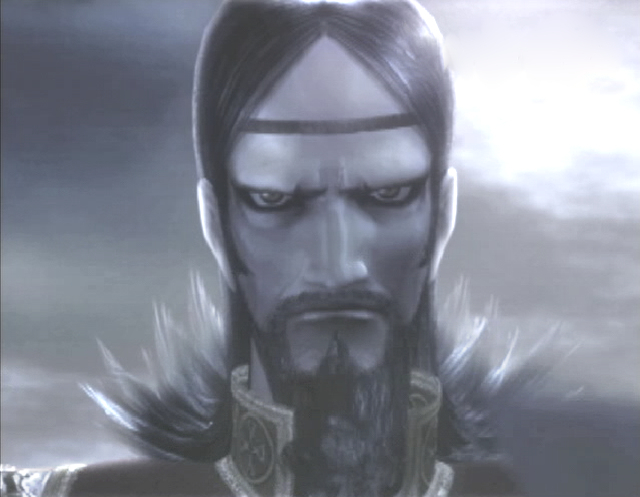 Don’t forget Koudelka. The *actual* first game in the series. For me it would be Goemon, there hasn’t been a real Goemon game since the DS one. I hope that Mega Man 11 is very successful and shows Konami that this stuff still sells.